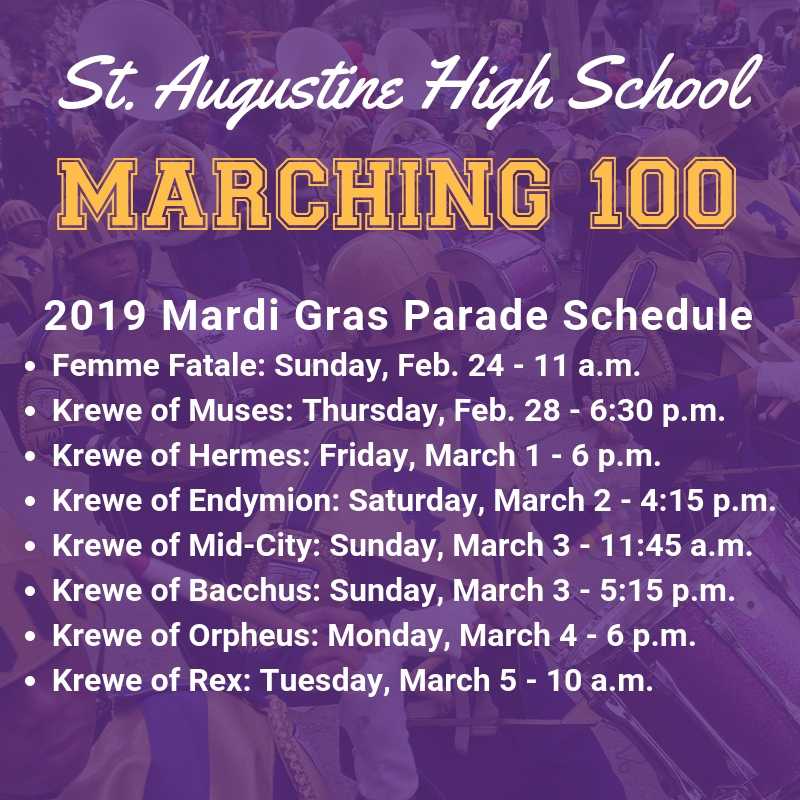 Start planning your New Orleans Mardi Gras experience now to make sure you don’t miss a single Marching 100 high-step throughout this year’s parades. 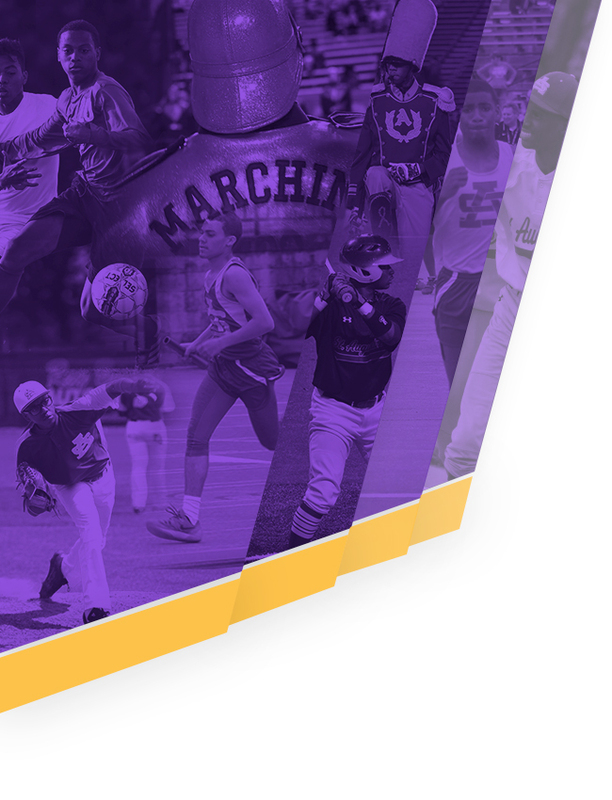 Check out the 2019 parade schedule to plan out your Marching 100 viewing strategy. 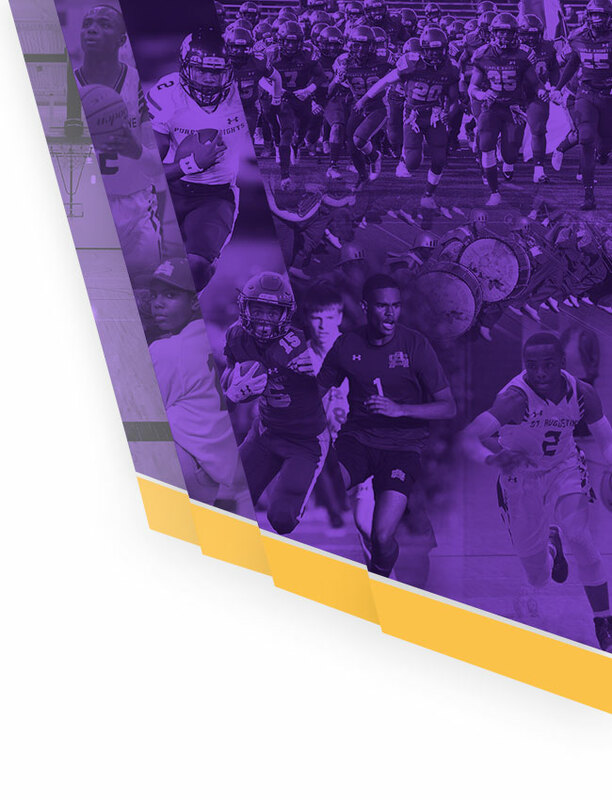 While you’re preparing your Mardi Gras schedule, make sure you show your Purple Pride on the parade route while cheering on the Marching 100. 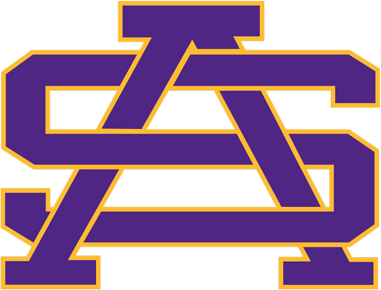 Stop by the St. Augustine Bookstore and pick up an official Mardi Gras Marching 100 t-shirt. All Mardi Gras t-shirts are on sale through Mardi Gras. Spend $25 and get a free tee while supplies last. Open (regular school days) Tuesdays, Thursdays, and Fridays 3 p.m. – 5 p.m.
Friday, March 1: 11 a.m. – 1 p.m.